Jennie-O Turkey has been a recognized leader in the turkey industry for many years. If you are a person who is keeping their New Year's resolution of eating healthier, Jennie-O can help you with that. 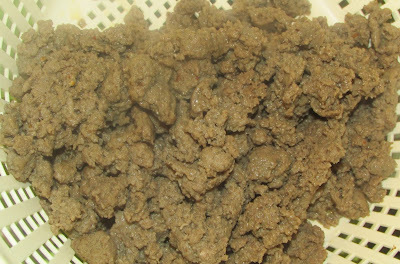 Simply replace ground beef and pork with ground turkey in your recipes for significantly less fat. I've used Jennie-O All Natural Turkey Sausage in a few of my meals lately. It can be used in all kinds of recipes and contains less fat than regular pork sausage. 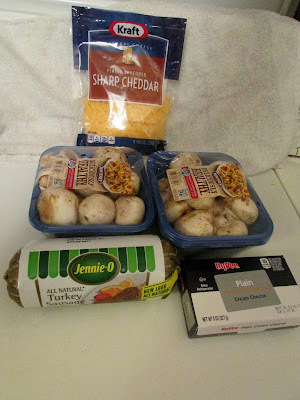 One recipe that I used the All Natural Turkey Sausage in is Stuffed Mushrooms. I cooked up enough to feed a small Army and they were all devoured. 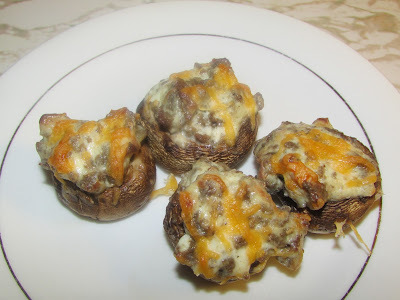 To make the Stuffed Mushrooms, all you have to do is brown the thawed sausage, then mix it with softened cream cheese. After hulling the stems from the mushrooms, fill the sausage and cream cheese mixture in to the center hole of the mushrooms. Top with shredded cheese. Cook in the oven for 20 minutes at 350 degrees. Easy peasy! And oh-so-delicious! Finalized Food - Stuffed Mushrooms! What recipes would you make using JENNIE-O® All Natural Turkey Sausage? I love stuffed mushrooms and havent had them in years. This recipe looks delicious! I've never tried Jennie-O Turkey Sausage, but would like to. I would like to just make a common big breakfast. I love a full breakfast with everything. I should get some for breakfast sandwiches. My family would like this recipe! These look amazing! I actually prefer turkey sausage over the regular, but cannot get my husband on board. lol.